Ashtray by Clarice Cliff in an Inspiration pattern. Size 5 inches wide. 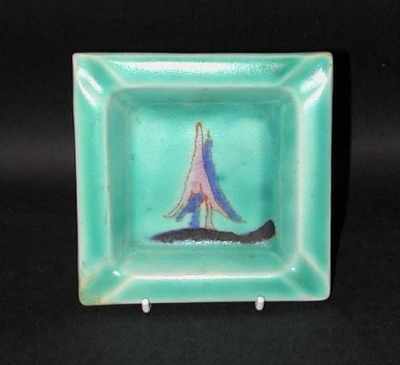 Very good condition but has had minor restoration to the rim.Signed "Bizarre by Clarice Cliff" and "Inspiration".